After the Chicago Marathon, and while my stress fracture healed, I began to wonder: what’s next. With every marathon I’d run, I immediately had the next 26.2 lined up. Until Chicago. Not only did I not have the next race in mind, suddenly, I found myself wondering if a spring marathon was even in the cards. There were several factors influencing the decision. I spent some time researching spring marathons. I polled long-distance runners: what’s your favorite (fast) spring marathon course? The recommendations came, one after the other. There were plenty from which to choose. I could stay local, or travel across the country again. The options didn’t stop there. If I was willing to travel internationally, there was the London Marathon. Yet, none of the races were striking a chord with me. I waited for that gut reaction to scream: THIS IS IT! Surprisingly, that feeling didn’t surface. I could name quite a few fall marathons I’d love to run. However, for the spring, I felt aimless. While I had been “there” for Chicago – all the physical and mental components prepped and primed to race – my injury had unexpectedly diverted me. This time, I found myself facing a different internal debate. The debate I found myself having was if I even wanted to race a spring marathon. Yes, I still have unrealized goals – a 3:23 (or faster) finish time and a Boston Qualifier. I haven’t abandoned those dreams. They’re still quite important to me. But, that internal voice for which I awaited spoke up, and I decided to listen. What felt right for me, this time, was to forgo the marathon for a season. The path suddenly diverged from that steady marathon course. What I saw instead was a short distance away, a much shorter distance. The decision: spend the spring training for short distance races (5k, 10k) to get faster and stronger. For a few years, several running coach friends had suggested this approach. I always politely listened, and decidedly ignored their advice. They’d said take a season off from the marathon to build speed. “Oh, okay. I’ll think about it,” was my typical reaction. Suddenly, I saw the validity of their recommendations in context of the larger picture. Now it made sense. After five marathons, I could clearly see the obstacles I kept facing in pursuit of a faster finishing time. These obstructions – Injuries (piriformis syndrome and two instances of stress fractures) and mental blocks – were very real. 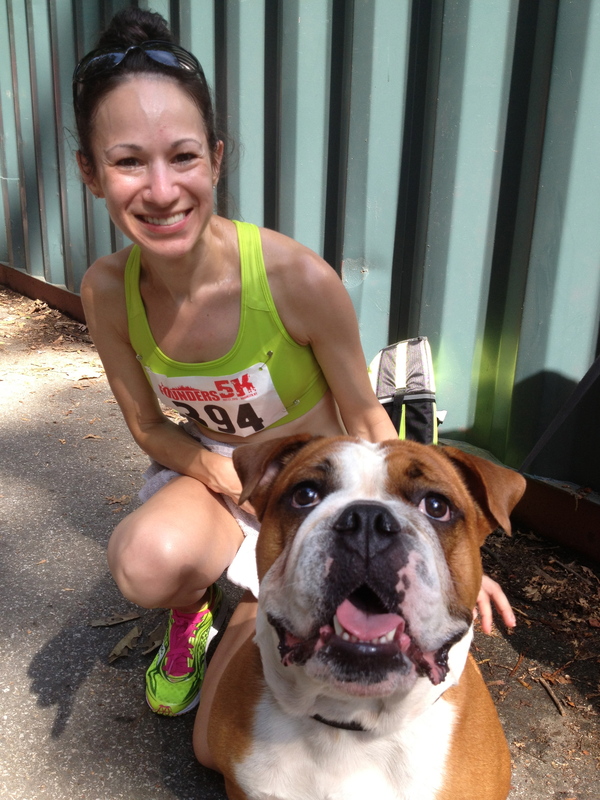 My first DNF (Did Not Finish) in Chicago was a wakeup call. It was an event drastic enough to make me take a step back to reevaluate. The reason I’ve finally decided to heed the call of shorter distance racing is simple: it’s an investment in my running career, and it’s a component to help me achieve my long-distance goals. I’m not giving up on the marathon. Those goals are very much alive. But, I’ve decided to take a different path to get there. I gave this decision some time to sit in my brain. I wanted to ensure it wasn’t a whim, that I wasn’t switching focus simply because I felt discouraged. In fact, it was quite the opposite. I’m fiercely determined to become a faster, stronger runner. If it means taking a season away from long distance, so be it. I’m willing to do this to run healthy and get faster. This will give us ample time to safely build back up to the marathon, post-injury. The shorter races will give a more complete running picture and help us gauge my potential. It will provide valuable race experience. It will help me increase my speed. It will help condition my body to fight through pain. It will give me an opportunity to learn new race strategies. All the above will only help provide a stronger base for a faster fall marathon. My conversation with Kevin bolstered my excitement. With my Coach’s encouragement, I’m ready to cocentrate on building back up safely and to start training. This short-term change in focus is what I need: it’s a fresh perspective and a new challenge. I’ve never properly trained for a 5k or 10k. Actually, minus one 5K I ran as a benchmark for Chicago Marathon training, I’ve never earnestly raced these distances. My paces had gotten much faster during marathon training. If I can do that while preparing for long-distance, what exactly awaits when I specifically train for these shorter distances? I’m excited to find out! Now, time to ease back into running and find some goal races for the calendar. Looking ahead, moving onward, getting faster. This sounds pretty similar to my goals of the Spring. I am not entirely sure I have given up the idea of doing a full marathon but at the same time I want to hone in on speed. We will see where it takes me. If you find some flat, faster 5k courses let me know! I am looking for some myself to work on as well. Yes, and same to you! I’ll be scoping out some races. Let me know if you find anything good! Good luck w/ your speed training this season. Can’t wait to follow along! Ideally, I’d like to go back to Chicago in the fall. Seems I’ve unfinished business with that course. I would really like to go to Chicago next year too! I think this is such a smart, long-term decision. Training and running only marathons isn’t the only and best way to become a stronger runner of any distance. So many runners fall into the “must do spring and fall marathon every year” trap and it turned into a cycle of injuries and burnout. I just took the fall cycle off from marathons and half-marathons after doing Boston. Because I wasn’t doing such high mileage, I was pushing the pace on my shorter runs and now have a faster easy pace. Now as I’m starting to build a base for Boston training, I actually feel stronger as a runner than I might have if I had done a fall marathon. I think this is a great decision! Marathons are hard on the body and also require a lot of training hours which can mentally be exhausting. I think taking a little time off and focusing on other goals is a great idea and I’m sure u will be a stronger and faster marathoner because of it!